Apophysitis is pain due to inflammation of a growth plate. It most often occurs in the heel, but no matter where a child has pain in their foot it should be evaluated. ​There are some conditions in the feet that are only seen in the pediatric population. Apophysitis is one of those conditions. By definition, apophysitis is inflammation of a growth plate (apophysis). 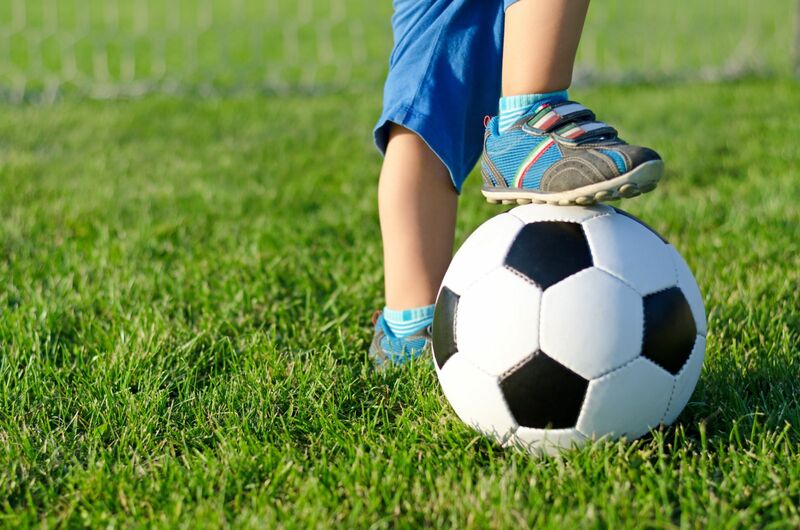 Children in their adolescence may experience apophysitis to a number of different areas of the foot, depending upon whether an injury occurred or if they are performing a particular activity that puts extra strain on a growth plate. It is important to remember that “growing pains” are not normal and that they can be treated. No child has to suffer with pain in their feet due to apophysitis. The great news is that apophysitis will always resolve eventually, but sooner is always better! Growth plates are sections of cartilage that are present in the skeletally immature (pediatric) population. These areas of the body go through a process called ossification. During this process the cartilage converts to bone and the two areas of bone fuse together. This period of time can be painful in the feet, as there are tendons and ligaments that attach to these areas can pull on this active areas and cause inflammation which leads to pain. There are growth plates in nearly all areas of the foot. The most commonly affected growth plate is that which is on the back/bottom aspect of the heel. In some children, this growth plate forms in two pieces and this is called bipartite. When the heel apophysis is bipartite there is an additional area that will ossify which means there is an additional area that can experience strain and develop inflammation. A very common scenario seen is that a young patient (usually around age 10-12) will come in for an evaluation and state that they have pain that is worse with activity, somewhat improved with rest but then painful with the first few steps after rest or sleeping. These patients are often (but not always) in sports and outdoor soccer is a very typical aggravating activity. Once winter turns to spring, the ground is still typically more hard than in the summer and this means that it is less forgiving. The growth plates will suffer more pounding due to the reduction in shock absorption and this makes the inflammation worse. During sports and other activities, the achilles tendon which attaches to the growth plate in the back of the heel will be activated and will pull on the growth plate straining it. The tighter the achilles tendon is, the more this will be an issue. Treatment for calcaneal apophysitis (also referred to as Sever’s Disease) needs to address the inflammation as well as the biomechical abnormalities. Biomechanical abnormalities include the tightness of the achilles tendon as well as the foot structure, which can predispose a child to apophysitis and cause recurrence of pain. Initially when treating a patient for apophysitis, we recommend immobilization in the form of an ankle brace. This brace helps to reduce the pull of the Achilles tendon on the growth plate. We also recommend icing to combat the inflammation that is present. We do encourage a stretching routine as well as recommend a device called a night splint. A night splint is a device that hold the ankle in a stable and stretched position while resting or sleeping. It is incredibly effective at reducing tightness of the achilles tendon as it stretching the tendon when you are resting and do not have inhibitions to restrict the stretching. When it is successfully worn throughout the night, that’s 8 hours of stretching before you even get out of bed! We have seen some tough cases of calcaneal apophysitis over the years and in these cases, there have been times where a walking boot or even a cast may be needed to ensure full rest of the growth plate and achilles tendon. Also, whether it be a typical or more challenging case of calcaneal apophysitis, physical therapy can be of great benefit. Physical therapy offers modalities that can help to reduce the inflammation causing pain. They also help by performing deep tissue massage to loosen up the muscles and tendons. As briefly mentioned above, there are some foot structures that are more prone to developing calcaneal apophysitis. These patients may suffer repeated recurrences of apophysitis over the years until the growth plate has fully ossified (around age 14). In order to prevent recurrent problems, custom orthotics are recommended. These are inserts that fit into the shoes and provide support of the arch structure and also help to better align the heel under the ankle, which reduces excessive or uneven strain across the heel and growth plate. For children with a foot structure that leads to apophysitis, these same people as adults may suffer from achilles tendinitis among other conditions. 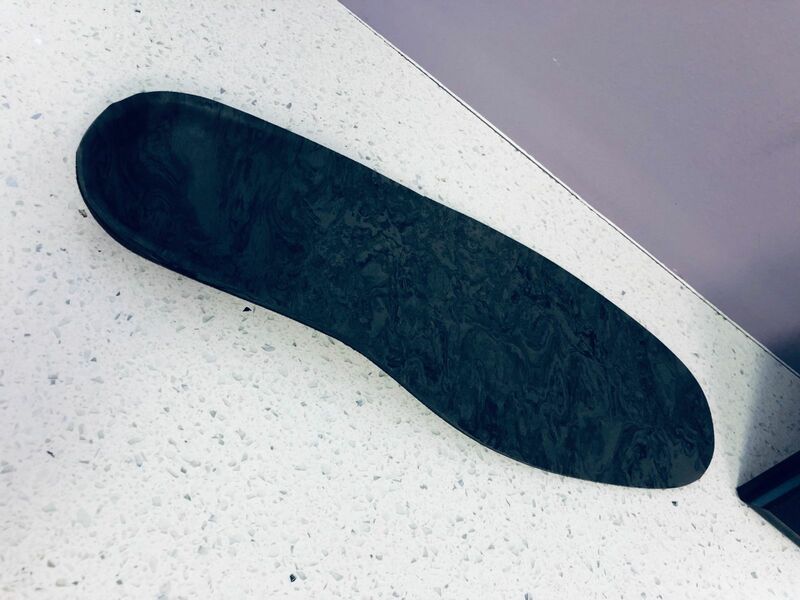 For this reason, many children who wear custom orthotics due to apophysitis may continue to wear orthotics as adults to prevent other conditions. As there are also growth plates in the long bones of the foot leading to the ball of the foot, jamming a toe can cause irritation and inflammation and pain. Twisting the foot or ankle can also cause inflammation of the growth plates in the foot which could be generally referred to as apophysitis. However, if an injury is severe enough, growth plate fractures can occur as well. These can occur due to a separation of the growth plate from the larger bone or compression. Sometimes these growth plate fracture cause a visible change in the bone adjacent to this area whereby the energy from the injury causes a fracture of the ossified bone. 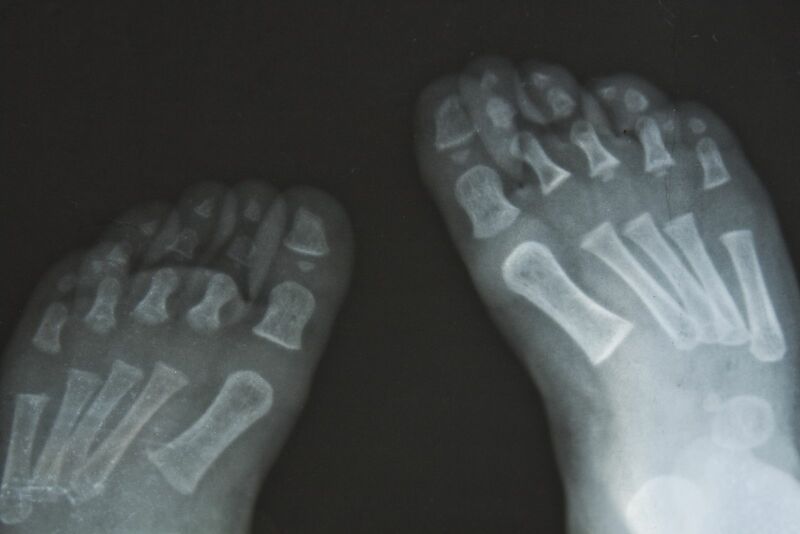 Some growth plates, such as on the outer aspect of the midfoot are not seen in all patients. Because these do not follow the typical pattern of growth plates, they are referred to as secondary growth plates. Pain in the foot for a child does not have to be a reality and should not be considered normal. Apophysitis is a treatable condition and neglecting to address it can lead to other injuries – as a result of altered gait and changed walking pattern. Many cases of apophysitis can be successfully treated without having to rest from athletic activity, so it is best to be evaluated and get on the road to healing rather than to wait it out. 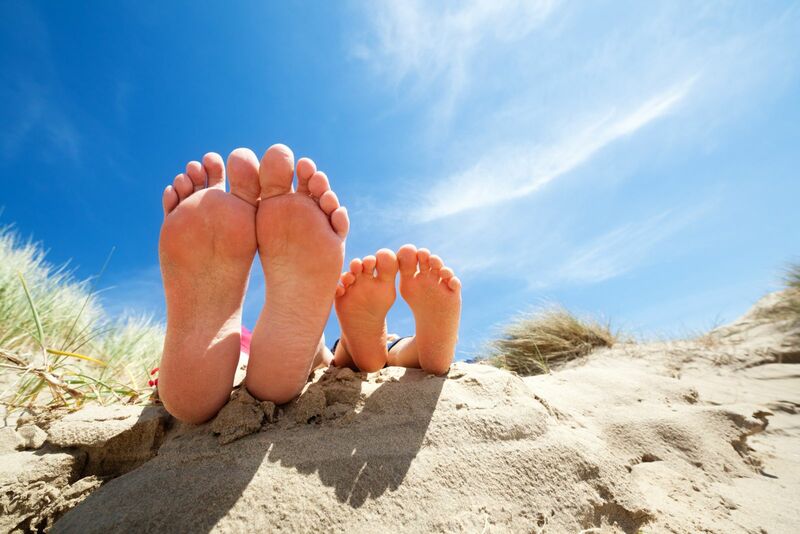 Call our office today if your son or daughter is suffering from foot pain!